An event operational plan, including parking plans, outlining the program of your event and containing a timetable of events and estimated running sheet including set up/pull down times, equipment requirements, any special access needs (heavy vehicles, equipment deliveries etc) must be given to Tonimbuk Horse Trials Committee Inc. (hereinafter referred to as TEC) at least three weeks prior to the proposed commencement date. TEC shall notify Event Organiser of any required changes to the operational plan, which must be incorporated into it. Unless otherwise agreed by TEC, the Event Organiser must comply with the event operational plan. A non refundable deposit of fifty percent (50%) of the total facility use fee must be received by TEC in order to confirm a booking. If an event is cancelled, this deposit is not refundable, however TEC, will at its discretion, attempt to reschedule the event at another time agreeable with both TEC and the Event Organiser. In this circumstance TEC will credit the non refundable deposit already received towards hire fee for the rescheduled event. Unless otherwise agreed by TEC, the full payment for the facility use fee must be received by TEC seven days prior to the first day of the event. Any activity undertaken by the Event Organiser or by any of the event participants that is not included within the official program of events, that was submitted to TEC and subsequently approved by TEC, is not permitted. TEC reserves the right to cancel any event due to safety issues or any breach of the terms and conditions under which approval to hold the event at TEC was approved. TEC also reserves the right to cancel an event due to unforeseen circumstances. In this circumstance any monies received by TEC will be refunded. TEC is to approve all signage, advertising and notices associated with the event held at TEC. This includes the attachment of competitor information sheets, including competitor listings and results, to any part of the infrastructure at TEC. All approved signage; advertising and notices to be erected/removed at the Event Organiser’s cost at a time agreed between TEC and the Event Organiser and must meet safety regulations. The Event Organiser warrants that it owns the intellectual property in the event and the event does not breach any intellectual property laws and agrees to indemnify TEC for any loss or damage suffered or incurred as a result of a breach of this warranty. Public liability insurance for no less than ten million dollars ($10,000,000.00) per occurrence is required to be held by the Event Organiser for the event. THTC and TEC are to be named on the policy as an interested party. TEC reserves the right to reject any event application if it is of the opinion that that particular activity which the Event Organiser intends to undertake is not covered by insurance. It is the responsibility of the Event Organiser to ensure that adequate medical and first-aid measures are provided at the TEC for competitors, spectators and officials associated with the event. TEC must be notified if any persons associated with the event receive medical assistance as a direct result of the event, whether assistance comes from on-site medical facilities or other emergency services not associated with the Event Organiser, such as ambulance, hospital. TEC’s hours of operation are between 8.30am and 5.30pm each day. The Event Organiser will need to make additional arrangements and negotiate to use the TEC at any other times. Facilities to be left in a clean and undamaged condition. The Event Organiser will, when the event has finished, leave the areas of the TEC used by the Event Organiser in the condition and state of repair as is consistent with normal wear and tear as could reasonably be expected from such an event. Without limiting this obligation the Event Organiser agrees to ensure all waste both human and animal is placed in the areas provide at the TEC on or prior to the termination date. If the Event Organiser fails to comply with these obligations TEC may take all action it determines is necessary to rectify that default. The Event Organiser must meet the TEC’s costs for taking that action. A separate invoice will be issued to the Event Organiser for costs incurred in relation to any breach of these conditions. The Event Organiser agrees to pay any additional invoices within 14 days after receipt thereof. TEC’s approval is required for the provision and/or sale of food and beverages and is only permitted if this is notified in the “Facility Booking Form” and the Event Organiser submits a separate “Application for Commercial Operation Form” in the event that any food or beverages are to be sold. No glass products are permitted and all food and beverage must comply with all relevant statutes and regulations, including but not limited to the Food Act 2003. Sale of Goods and Services and Trade Exhibitors/commercial operators. The Event Organiser agrees to indemnify and keep indemnified the TEC, its officers, agents and contractors against all liability whatsoever and howsoever arising relating to or in connection with the trade exhibitors/commercial operators. The erection, appearance and site location of marquees, tents, platforms and temporary grandstands at TEC is subject to the approval of TEC. All structures are to be erected/removed, at the Event Organiser‘s cost, at an agreed time between the Event Organiser and TEC and must meet relevant safety regulations. Commercial filming or photography is only permitted if this is notified in the “Facility Booking Form” and the Event Organiser receives the written consent from TEC. The Event Organiser grants the right to TEC to record, in any manner, without limitation, the event or any part of the event, for event management and marketing purposes. The Event Organiser warrants that it has in place all necessary permits and licenses required to hold the event. The Event Organiser agrees to conduct the event with proper regard to the preservation of public safety and not to do or omit to do anything which might in any way endanger the TEC, including without limitation, any person and any equipment, chattels or goods at any time at the TEC, whether the property of the TEC or not. All riders and hirers must adhere to the TEC and THTC Code of Conduct. Copies of which are posted inside the Arena. The Event Organiser agrees to follow any directions or instructions given by any person appointed by the TEC to manage and control TEC and to follow any directions displayed in TEC. The TEC reserves the right to override any decision or action of the Event Organiser in relation to the event or use of the facilities if the TEC, in its sole discretion, deems the decision or action to be detrimental to the TEC or safety generally. The Event Organiser may not assign all or any part of its rights to use the TEC. All dogs are to remain on a lead whilst on the venue and are not to enter the indoor arenas under any circumstances. The Event Organiser acknowledges that access has only been granted to those areas of the TEC facility that have been granted the right to use. The Event Organiser agrees to restrict access to all other areas of the facility to all event participants including competitors, officials and spectators. The Event Organiser also acknowledges that the control of children is particularly important around horses and agrees to ensure that all children at the event are properly controlled and supervised at all times. MANURE IN ARENAS – The Event Organiser will, throughout the entire duration of the event, pick up all manure from the riding arenas as soon as possible after it has been dropped. LIGHTS – The Event Organiser will, throughout the entire duration of the event, ensure that all lighting is turned off when not in use and agrees to pay any additional costs incurred that is in excess of the agreed usage. COACH QUALIFICATIONS & INSURANCE – All instruction undertaken at TEC must be undertaken by a registered NCAS Level 1 Coach and above or equivalent International Coaching Qualification. There is no exception to this and all hire of the facilities for the purpose of Coaching riders must adhere to the above. FACILITY GROOMING - The Event Organiser agrees to ensure that any areas requiring maintenance by TEC during the event are clear of any equipment that may impede the equipment used to perform the grooming. USE OF STRAW – The use of straw is not permitted at TEC. This applies to all facilities including all stables, riding arenas and car park but does not apply to the cross country course. 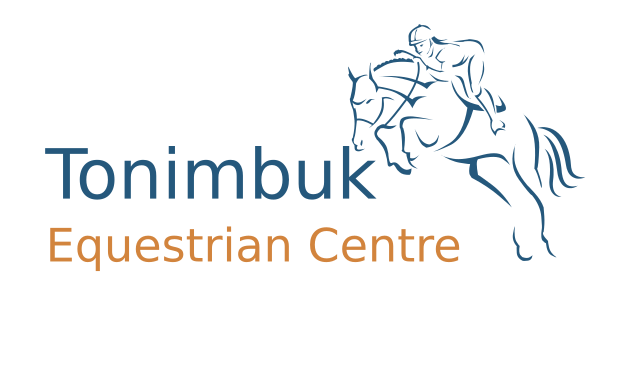 BEHAVIOUR – The Event Organiser will ensure that its competitors, officials and spectators behave appropriately at all times and will ensure that anyone not doing so immediately vacates the Tonimbuk Equestrian Centre. ADDITIONAL CLEANING – Whilst TEC ensures the cleanliness of the facilities prior to the event, it does not provide for cleaning services during the event. Events of greater than two days duration may need to arrange for additional cleaning of the bathrooms, canteen area and the emptying of rubbish bins into the skip. WATER – Whilst TEC has fresh water storage tanks capable of holding 100,000 litres and extensive dam water reserves suitable for watering/washing horses, it may be necessary to supplement these resources in times of drought and at the end of the summer period. Any cost of additional water will be at the hirer’s expense. Copyright © 2018 Tonimbuk Horse Trials Inc.